The Bayou Classic brew spigot is for serious home brewers. 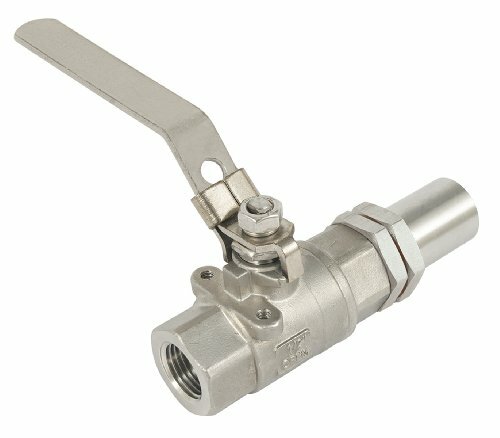 Featuring stainless construction having 1/2" ball valve with locking handle and threaded 1/2" FNPT at each end. Includes bulkhead fittings for a water tight seal consisting of O-rings, threaded connector and bushing for filter screen attachment. View More In Home Brewing & Wine Making. If you have any questions about this product by Bayou Classic, contact us by completing and submitting the form below. If you are looking for a specif part number, please include it with your message. © 2019 - mysticoaks.com. All Rights Reserved.